Chicago’s Ravyn Lenae is quickly becoming known for her sultry and expressive voice and music, despite only being eighteen. The R&B singer-songwriter currently attends Chicago High School for the Arts and is studying classical music – she graduates this year. Lenae has to tackle juggling her tour, personal life and school, but tells Soulection that her teachers and peers are very supportive, and describes the music scene in Chicago as a ‘close knit music family’ who help each other out with projects and go to each others shows. Lenae’s grandfather, an immigrant from Panama, served as the pastor of the Pullman Christian Reformed Church on the South Side of Chicago, she states that practicing religion allowed her to grow as an artist. Lenae’s first official release was her debut EP – Moon Shoes, produced by Monte Booker. The EP was originally released as a free download in 2015 however, the unique compilation of songs caught the eye of Atlantic Records who then signed Lenae, touched-up the EP, and reissued it in 2016. The first track on the EP is “Venezuela Trains“. Lenae believes that the main way to develop as an artist is to travel and experience different cultures in order to be inspired. This track opens with a sample of a train recording instructing the customers to ‘please hold on’ as the train is departing, this exhibits evidence of her executing her creative beliefs instantly. Following are pulsating held chords, that are then diminuted into shooting staccato beats, graining your attention quickly and becoming more of a percussive aspect of the production than chordal accompaniment. Lenae plays about with different backing vocal layers in the track, with her distinguishable lead vocal floating delicately over the top. Moon Shoes has ten tracks, one of the most popular being “Free Room“, featuring Appleby. One of the great things about Lenae’s music is her lyrics. Her words are like abstract sculptures compared with easily comprehended still drawings, her writing style is poetic and obscure, allowing for audience interpretation. “The eyes, you’d think you’d shake your thighs, in a room full of fallen hope and tainted skies“. These atmospheric lyrics blend perfectly with jazzy electric piano chords, the syncopated beats and Lenae’s airy yet strong voice. The second release of Lenae’s was her Midnight Moonlight EP – released in March of this year. This EP continues Lenae’s experimentation with R&B/electronic/neo-soul fusion. “Spice” is the leader of this EP, and probably Lenae’s most popular song overall. The instrumentation, such as the egg shaker, gives a slight latin feel to this track, perhaps a reflection of Lenae’s grandad. The vocal slides in the melody line, sensual harmonies and heavy backing vocals create a beautifully thick texture though one that still has a breezy sound to it. The final track on the EP is called “Thirst“, and was produced by Carter Lang. This tune reminded me of UK elctro-pop DJ Mura Masa’s music, but calmer. Similarities include abrupt monophonic textures for effect, here in the chorus and also in the chorus of Mura Masa’s “What If I Go?” featuring Bonzai, and the heavy use of electronic drum pads, heard here throughout and in all of Mura Masa’s tracks. Ravyn Lenae is an inspiring artist for young aspiring musicians hoping to make it in the music industry. She combines her creativity and originality with her technical ability to result in sophisticated and pleasurable music. Already becoming an established artist she tells Soulection that she is happy she already knows who she is and what she’s about at this early stage in her life. Lenae supported fellow Chicagoan Noname, a hip-hop rapper, on her tour earlier this year, and from November, Lenae is due to begin an American tour joined by R&B singer-songwriter SZA and rapper/singer-songwriter Smino. 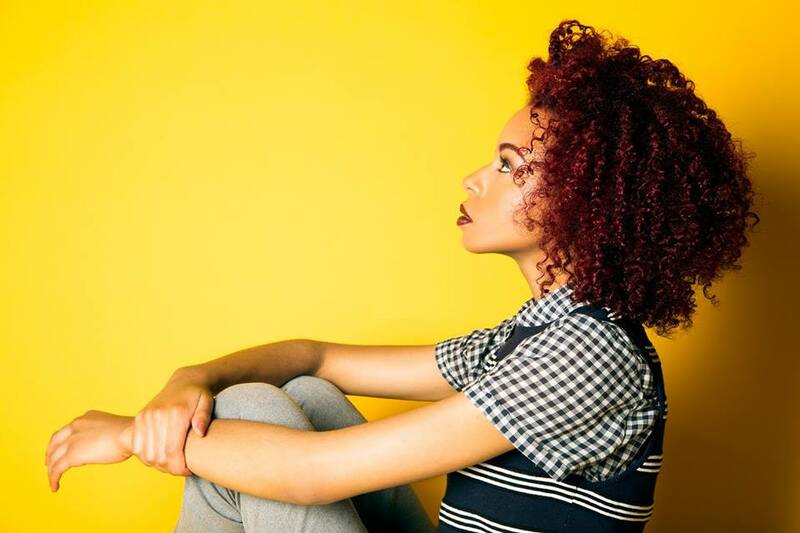 Ravyn Lenae is undoubtedly an influential and talented artist and is definitely one to watch. There’s so much great young talent out there, and Chicago is full of it! Lenae is such a unique singer and seems to have the talent and drive to be a great successful musicians. Here’s to hoping she goes far!